Today the campaign wrote to Sepp Blatter, copied to the FIFA Executive Committee and also the UEFA Executive Committee, calling for the suspension of the Israeli FA due to its racist action in segregating Palestinian and Jewish football teams in Al- Shomoron. See the post on October 23 for details of the Israeli action. 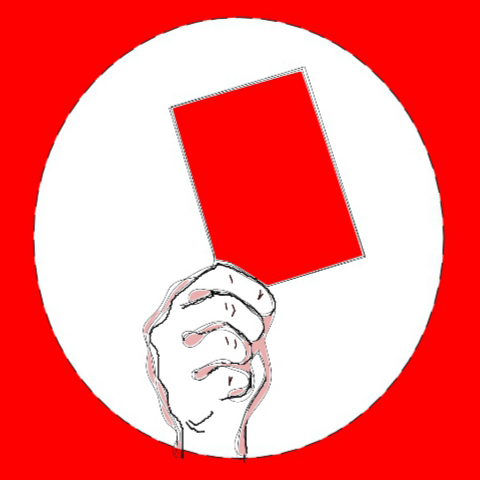 I write on behalf of the campaigning organisation Red Card Israeli Racism. We ask that FIFA act with the utmost urgency to suppress the practice of racial segregation (apartheid) by the Israel Football Association. We draw your attention to this press release from Adalah, the highly respected Israeli legal organisation: http://adalah.org/eng/Articles/2337/Adalah-petitions-District-Court-on-behalf-of-a-of-in. It concerns the legal action Adalah has taken against the re-organisation of the Israeli children’s league in the Al Shomoron area. It is an utter disgrace that, in the 21st century, a national children’s league should be organised along racial lines. Obviously, the IFA’s actions in Al Shomoron constitute an egregious breach of FIFA’s statutory prohibition of racism, and its statutory obligation to promote humanitarian values “particularly through youth and development programes”1. It is notable that, in its submission to the Tel Aviv District Court, the IFA has stated quite candidly that it has acted in response to pressure from Jewish clubs and families. You will be aware that anti-Arab racism in Israel has reached unprecedented levels over recent months2. The IFA could have refused to bow to such pressures, instead it has chosen to participate in the current wave of hatred. No wonder the IFA has been of so little help to the Palestine Football Association in its ongoing struggle against military oppression. It shares the racism that fuels the brutality. suspend the IFA’s membership of FIFA at December’s Executive Committee meeting.